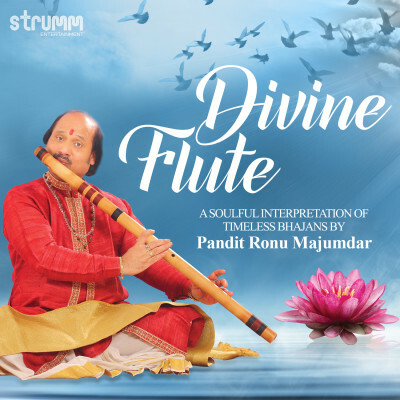 Flute maestro Pandit Ronu Majumdar offers his tribute to the greatest Bhajans of all time through a soulful improvised presentation of the classics. The music arrangement uses contemporary Western and Indian elements and vocal harmonies, while still retaining the sanctity of these timeless devotional melodies. The album concludes with Dhyan - a blissful, meditative piece. The music is beautiful and touching, and creates a spiritual and relaxed mood for the listener.